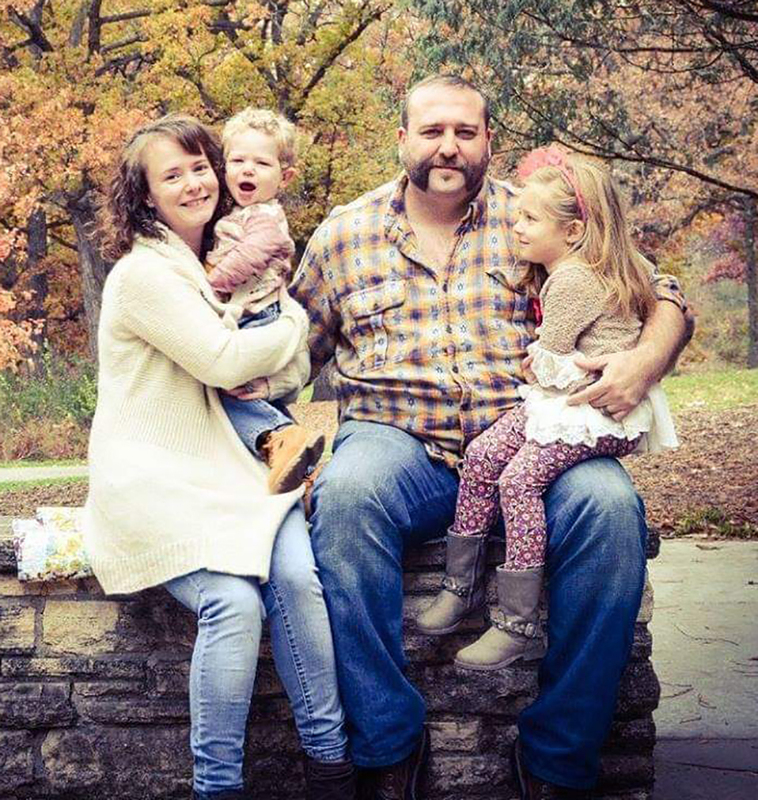 Like many kids of his generation, Upper Iowa University alumnus Mark McDowell ’05 often woke up on weekends, plopped down in front of the TV and watched morning cartoons. The Grinnell, Iowa, native maintained this routine until one day his grandfather turned the channel to professional wrestling. After a brief moment of disappointment, McDowell was quickly fascinated by the entertaining action showcased by the likes of wrestling icons Bulldog Bob Brown, Danny Little Bear and Harley Race. 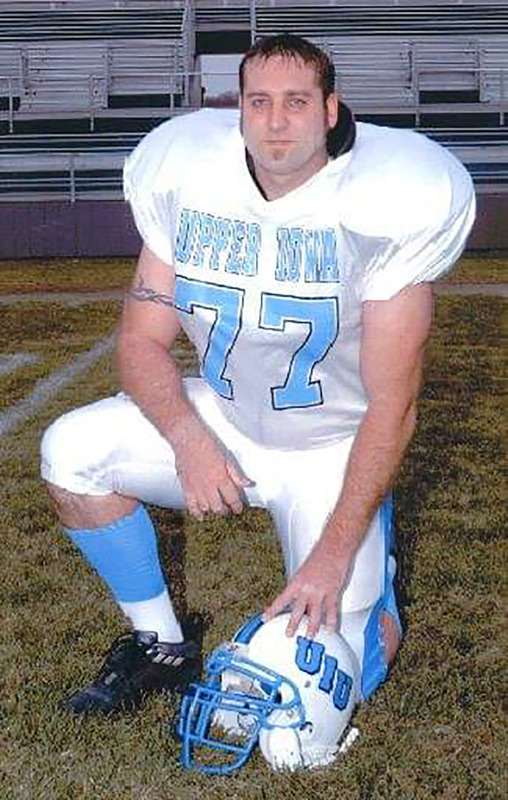 Mark McDowell ’05 originally chose to attend UIU for the opportunity to participate on the football, track and cheer teams. McDowell remained intrigued by various pro wrestling television shows while growing up and had just completed his service with the U.S. Army when he seriously contemplated getting involved with the athletic entertainment himself. At the time, he was an avid viewer of WWE’s Tough Enough MTV series and was still figuring out what he wanted to do with his life. McDowell inquired about the 3XWrestling training program and enrolled in September 2006. He was trained by regional wrestler Brian Ash, who happens to have earned his MBA from Upper Iowa in 2010. McDowell started wrestling consistently about six months later. He has since traveled from Colorado to Tennessee, wrestling 40-60 matches a year. In addition to Ash and his many training partners, McDowell lists wrestling promoters Todd Countryman and Chris Gough, regional wrestlers Jeremy Wyatt, Arik Cannon, Mark Sterling, Derek Stone and Bull Schmitt, and the WWE’s Trevor Murdoch and Hacksaw Jim Duggan among those who have personally influenced his pro wrestling career. Mark McDowell ’05 is pictured with his wife, Corrie, and their children, Wesley, 2, and Sophia, 5. Today, the 43-year-old remains employed as a production planner/purchasing order engineer with Tension Envelope. By night, he turns into 3XWrestling co-owner and championship wrestler Mark “Maddog” McDowell. McDowell typically trains three to five times a week in the gym, and inside the ring on weekends. In addition, the organization hosts a 12- to 16-week Saturday training session and an annual training class for its stable of wrestlers. Among his long list of pro wrestling accolades, McDowell is a four-time 3X tag team champion and currently holds the 3X heavyweight championship belt. He has also teamed inside the ring with current WWE superstar Seth Rollins and was once featured as a manager for Alicia Fox on a WWE Smackdown House show. In addition to wrestling, McDowell’s duties with the regional wrestling organization include promoting, marketing, graphic design and video production for 30-50 pro wrestlers and approximately 20-25 shows per year. 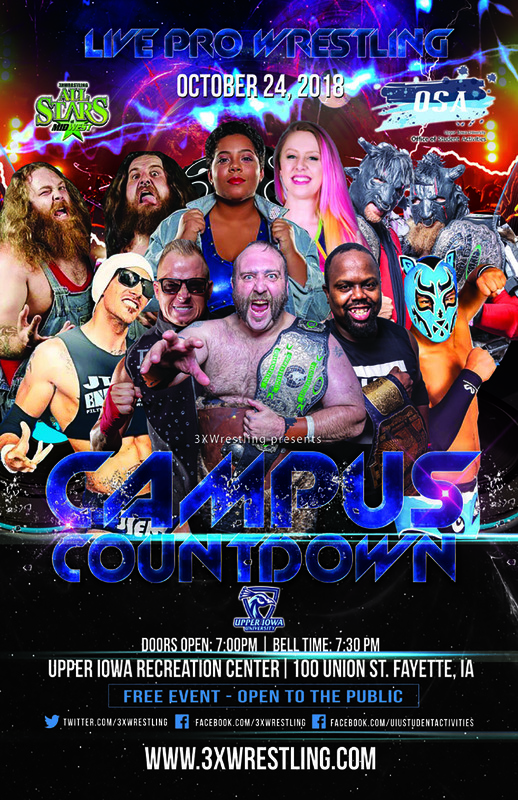 3XWrestling has made three appearances at UIU’s Fayette Campus. McDowell is greatly appreciative of the career and social skills that a Peacock education and its diverse campus experience provided him. Graduating with a bachelor’s degree in management information systems, he credits UIU for providing him the tools to become a problem solver in today’s competitive and ever-evolving business world. McDowell said that when he first started attending UIU in 1993 it was home to a modest Fayette Campus. He noted the student body was small, most of the campus was under asphalt in the form of a parking lot, and the facilities were dated.